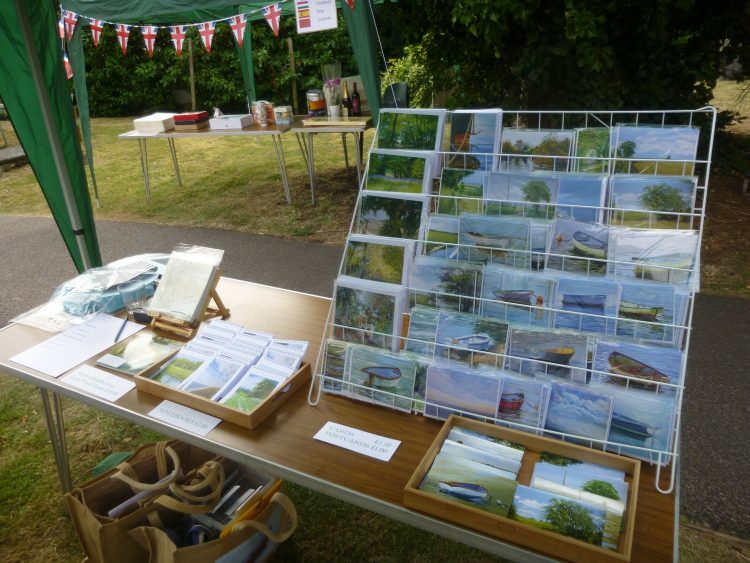 The Summer Fete at St Leonard’s went really well and I had some interesting visitors to my ARTSTUFF stall. 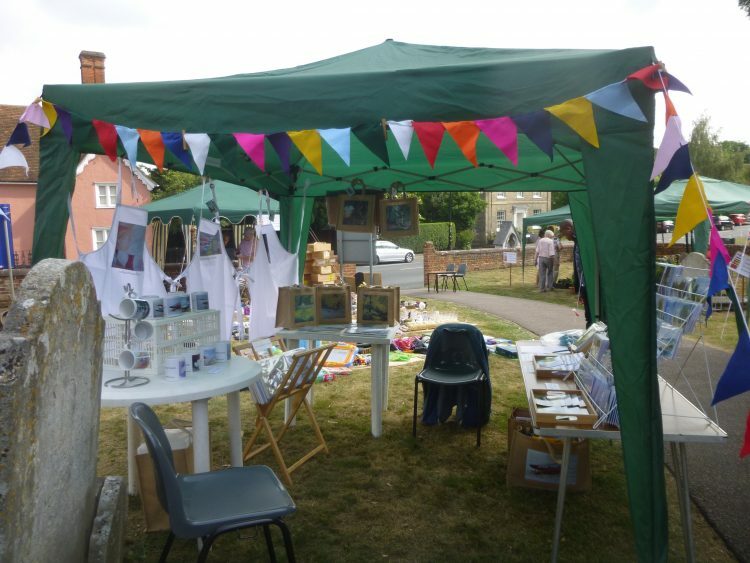 This was my stall just after I finished setting up, before the fete was opened. The little jute bags were a hit, the mugs were popular as usual, and the new spiral bound notebooks also seemed to appeal to people. 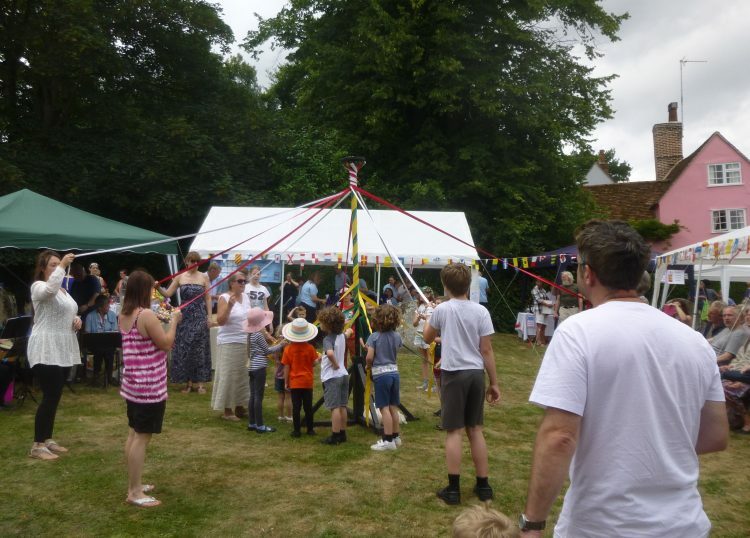 My tent was situated so that I had a good view of the ‘Arena’, and I was very taken with the portable May-pole. Yes, I know it’s July . . . Some really little children took part and managed the weaving in and out of the centre ribbons. It was very hot by the time we cleared up, and I think everyone involved was pretty exhausted, but it was a fun day and raised over £3700, so worth the effort. Yesterday was Graham’s 65th birthday, and I had been really looking forward to giving him the lovely stained glass panel which I had commissioned from Naomi Brangwyn, one of this year’s Festival artists. It is called Making Memories, and shows a very colourful row of beach huts, with bunting flying over them, and the beach and edge of the waves in front. I will try and get a photo of it to share! (He was really pleased with it!) 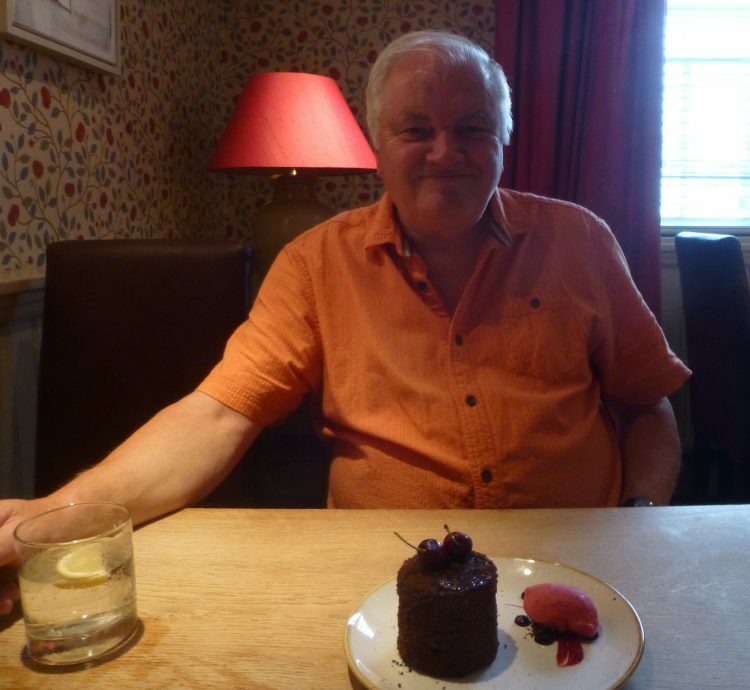 I took him out for dinner last night at The Crown at Stoke by Nayland – our go-to special occasion place as the food is always wonderful and the surroundings are lovely. 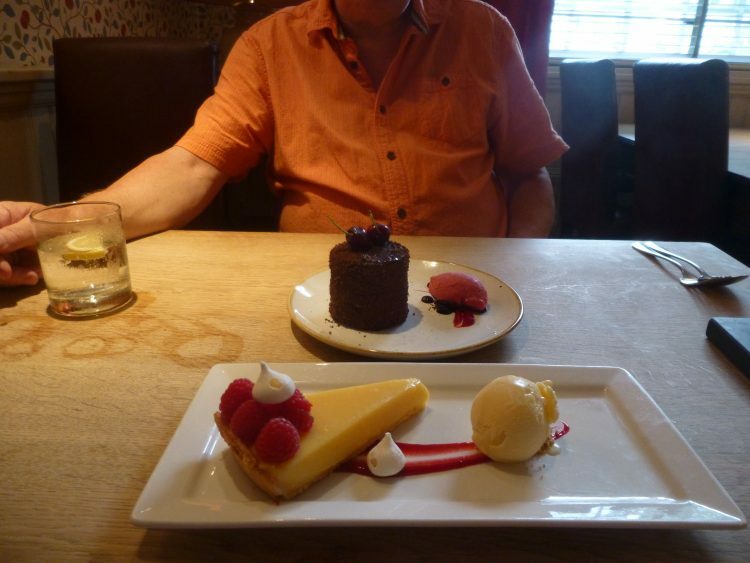 We both had very pretty puddings! 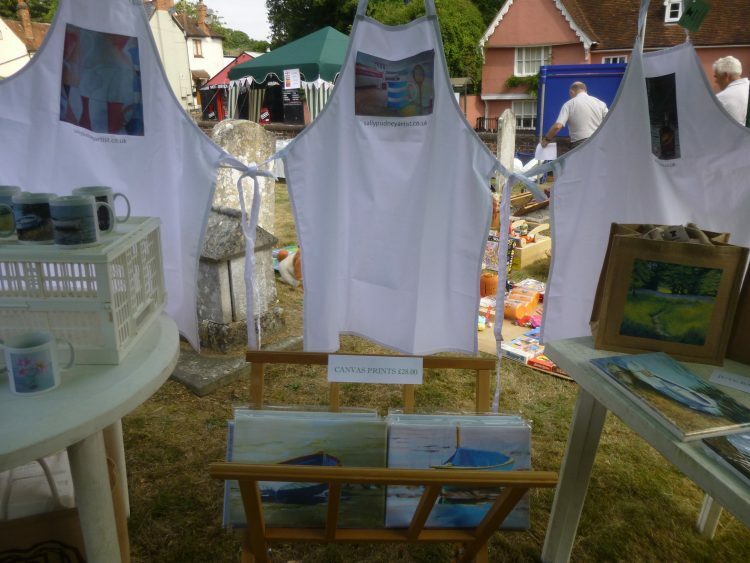 We squeezed in a concert on Sunday afternoon, too, so with one thing and another there hasn’t been much studio time over the last few days, but by Friday I hope to be back painting again!